Recipe cards rank up high on my list of domestic bliss. My vintage lucite recipe box (from my teens) will be the perfect home for these swell cards. A recipe for pursuing your passion is what it is all about, every artist can relate to this. R- Routine, set up the best time for you to work! E- Establish good habits, expect error & excellence. A- Always begin with gratitude. T- Time - take time, start small. E- Enjoy what you do. As artists, we never start with the perfect space, nor the best materials, but we work towards the dream space, and allow time to know that we need to honor our passion and juggle life. One can pursue a career in the midst of mother-hood or even add it to our day job by carving out a window of time each day. Try 2 to 3 hours a day and commit to working on your passion. Time and again, certain obsessions or passions have a way of returning to me. One of them is my love for really nice paper and the art of letterpress. The other is for the artist who dreams of having that piece of equipment (Antique 1882 Pearl Old Style Press) or studio space to whilst away the hours or burn the mid-night oil. Meet Kristin, She spotted this beauty ( or rather her fiance did ) for a song on Craig's list and knew it was fate. How great to seize an opportunity and a machine. I have always wanted to learn how to make my own letterpress. She recently acquired some vintage typeface letters amongst other goodies she plans to use as part of her collection - 622 press. 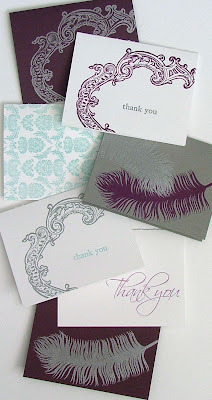 How pretty are these bevy of beautiful letterpress cards to send a proper thank-you, sure to tickle the thoughtful giver! 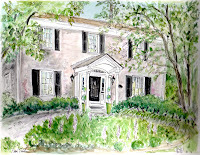 Take a look at Kristin's site and her etsy shop and tell me what you really really want, leave me a comment. Winner of this fab give-away announced first thing on Monday morning. As my Mom loves to say, "Keep a fuzzy brow, a stiff upper lip and press on" - Have a fab friday all you fab people! Press on Kristin and thanks for sharing your work. Oooh lovely cards! And I've written down (in my notebook) your C.R.E.A.T.E. recipe! I'm going to Kristin's site now. Have a nice weekend!! Just the recipe i needed! Winslow Homer did the trick my sky is coming together well! Also love the clouds of "Magritte" -"Son of Man"
I know we both share the passion for fine papers and love of letterpress. I will send you some articles I have saved over the years. 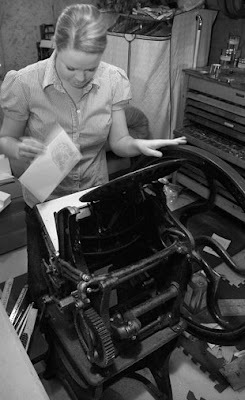 I love that big beautiful letterpress. Thank you for the recipe- reminds me of a recent conversation I had with someone special. I must tell you that the frames have been a huge hit. It is nice to have a stock pile for gifts with a special little drawing and note inserted! I also use one in the kitchen - as a recipe place card! Papers and phone-calls are favorite recipes for recharging me as well as posts! I am thinking that today you will be making "chocolate covered ants!" hmmm. Our cousin Kathy has a press in her garage and her dream is to print books. 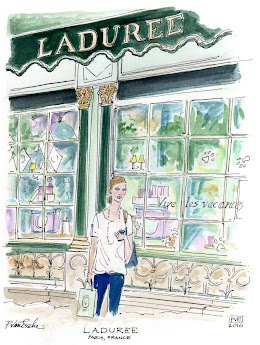 Thanks for sharing this wonderful Etsy find....I love her double feather notecards, though in pink! Nice to know about all these talented women. Have a wonderful Mother's Day. I love your mother's quote and Kristin's cards! I'm going to check out her Etsy shop. I too love fine paper. Your recipe for happiness as an artist is very useful and so true. Thanks for your inspiration once again!!! 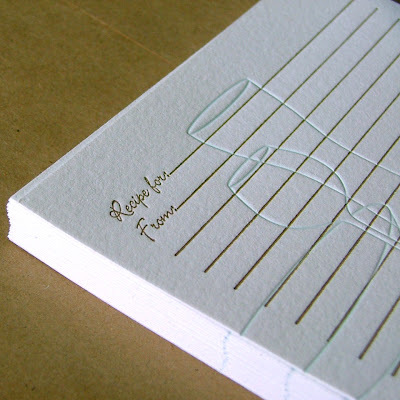 I too have a love for paper, ribbon and letterpress. Too bad we didn't live close enough to try it together. I'm off to visit her shop! I love those cute notecards with the OWLS on them! hoo...hoo!!! I love the recipe. I printed it out and tacked it to my bulletin board at work - it's always nice to have something inspiring around. I love Kristin's blue damask notecards - the color, the pattern - they're beautiful! I love the "CREATE" quote - and that it came from your mother. I love the Hello note cards on Kristin's site. My mother always told me to say hello with a smile to at least one stranger a day. I have had many interesting conversations and met many people with that one bit of advice. Those note cards remind me of that. Thanks and happy mothers day to you. 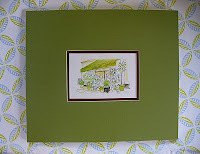 I adore the Silver Frame set notecards. 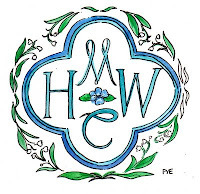 I have always wanted to learn letter pressing and have put it on my list of life's to do - teach myself this gorgeous art! Thank you for the C.R.E.A.T.E. message this morning. Kristin's Cellular Intaglio prints especially number 3 are so creative and divine. I would never dream of cellular art, but love them all the same! 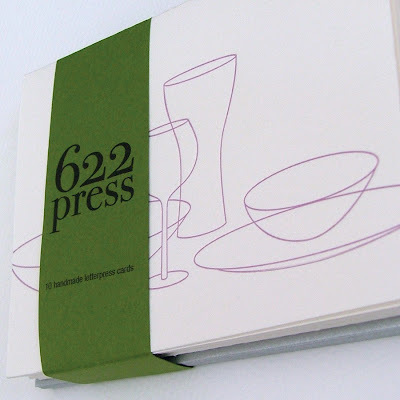 I think the recipe cards you pictured are great - nothing more luxurious than letterpress, probably give off an air of importance to your recipe...don't you think? Love them. Are you purchasing a press as well Patricia? I love what you said about doing your passion for 2-3 hours a day...the problem with creative work, is it's hard to put it down, and say "I'm done". Your friend's work is outstanding! What beautiful works she does. I love her prairie set. And thanks for the quote. Just what the doctor ordered! Never been much of a cook... no passion... but this is a recipe that I am putting in my journal. CREATE - beautifully put! Love your posts... your work is inspiring. This would be a great recipe to post on my studio wall. No, I have no intention of adding anything else to my life to press...but I would love to have some of my designs pressed, I always love the look of letterpress and that feel. "Take time, start small"...the best advice to anyone faced with a blank canvas, a daunting task, daily living, you name it. Thanks so much for your "Create" recipe. Ooooooh, I love this post! Happy mother's day. She does some beautiful work! I love the 540 letterpress print! Love your blog! You are an amazing artist! I will definitely be stopping by often! 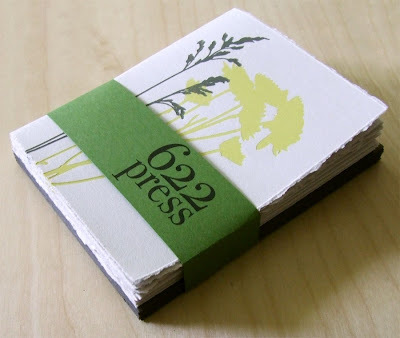 I love Kristin's letterpress -love the "everything coming up daisies"- and what a lucky find on Craig's list. Your create' list is smart - I will save that and use it. Enjoy your recipe cards - those are lovely! Happy Mother's Day - hope your family spoils you. I'm lusting all those adorable items... and yes you've reminded me to get on with my recipe cards. Thrilled at the great comments, and that each of you loved the recipe to c r e a t e! Kristin really does great work and I hope one day that she can letter press some of my designs. What a wonderful recipe for being creative! I'm love the advice and hope to apply that in my life. Wishing you a wonderful weekend! !